I love flapjacks. There’s something equally child-like yet grown up about flapjacks. They’re a proper grown up oats-are-good-at-delivering-sustained-energy kind of snack but at the same time they remind me of being a child. So when I found I was no longer able to tolerate oats, I was really sad. No more porridge. No more flapjacks. 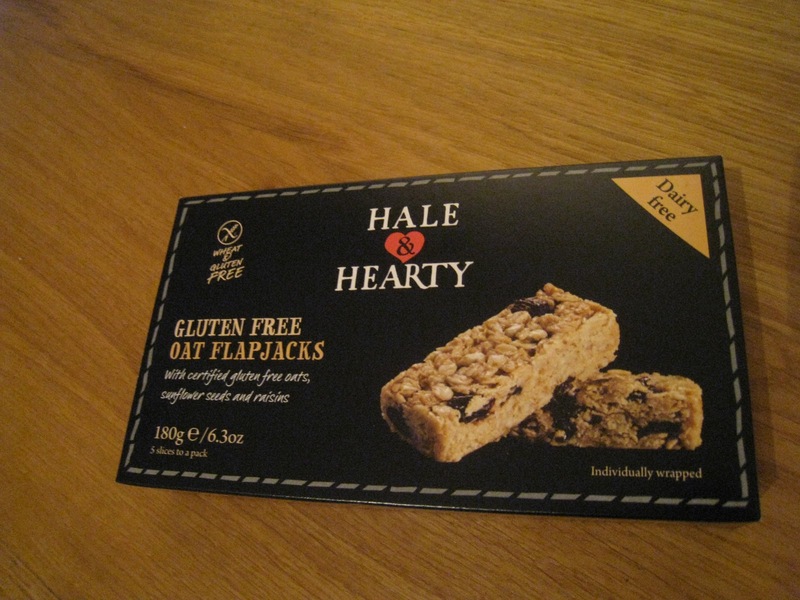 When I got to try Hale & Hearty’s gluten free and wheat free flapjacks I had high hopes. Hale and Hearty was founded by foodies Catarina and her coeliac husband, Christian. When their daughter was also diagnosed with a wheat intolerance aged 6 months, they were shocked to discover the low nutritional value in existing gluten free alternatives for their baby. They set out to develop gourmet gluten free foods which are delicious and wholesome as well as free from additives, flavourings and artificial ingredients. The Hale & Hearty flapjacks are crumbly, with big oaty flakes. They’re sweet but not overly so and come packed with raisins and sunflower seeds. So how do they taste? Well, put it this way somehow Mr D (who has no reason to eat gluten free other than I must) managed to take one from me and instantaneously began making enthusiastically appreciative noises before I had even taken my flapjack from the packet. I was fairly fortunate to capture some photos of these flapjacks since they were gone in a flash they tasted that good. At 165 calories and 9.1g of fat per bar I think these bars can be enjoyed without worry over calorific values. And they’re even dairy free. Hale & Hearty products are sold in many of the major retailers with Tesco stocking 7 of their products including these fab flapjacks. You can see a list of retailers and search for your nearest stockist by doing a postcode search here. 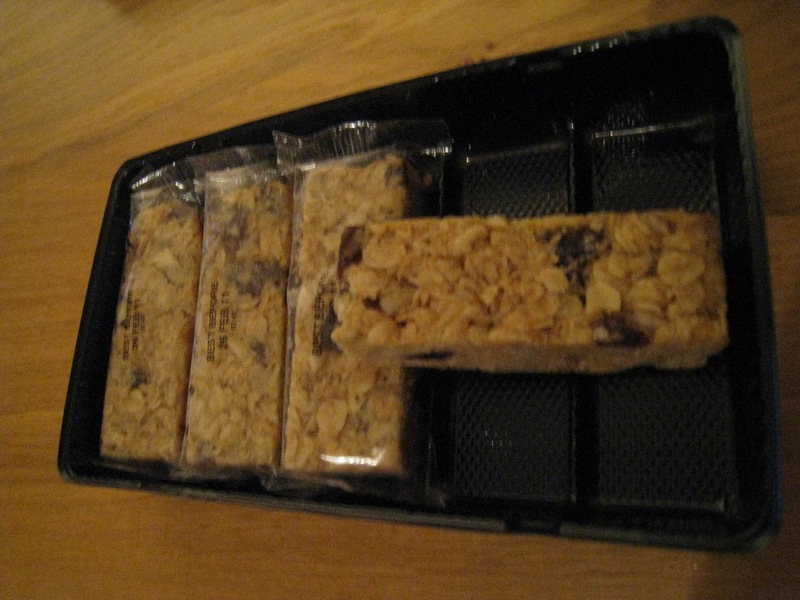 I hope Hale & Hearty are able to develop this product in the future to sell these flapjacks as individual bars. I’d like to find them in supermarkets/petrol stations/newsagents in the same way Eat Natural bars are now widely stocked. From non-GF Mr D’s reaction, these delicious and wholesome flapjacks will sell whether you need to eat gluten free or not. A Very Genius Goody Bag!